Biking to Towers Crescent is a great option, not only for health benefits but for relatively low cost. Towers Crescent also provides great amenities to support bike commuters including secure bike racks and showers that allow commuters to freshen up after their rides to the office. Commuters can also use bike racks on busses to help cut the distance of their commute. 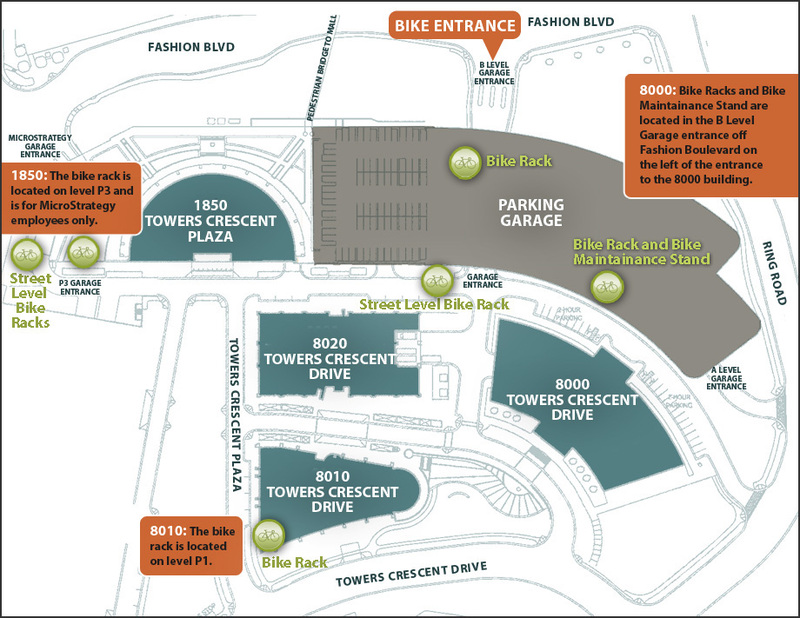 Check out this map detailing where all the bike racks are located both in the garages and on the street. 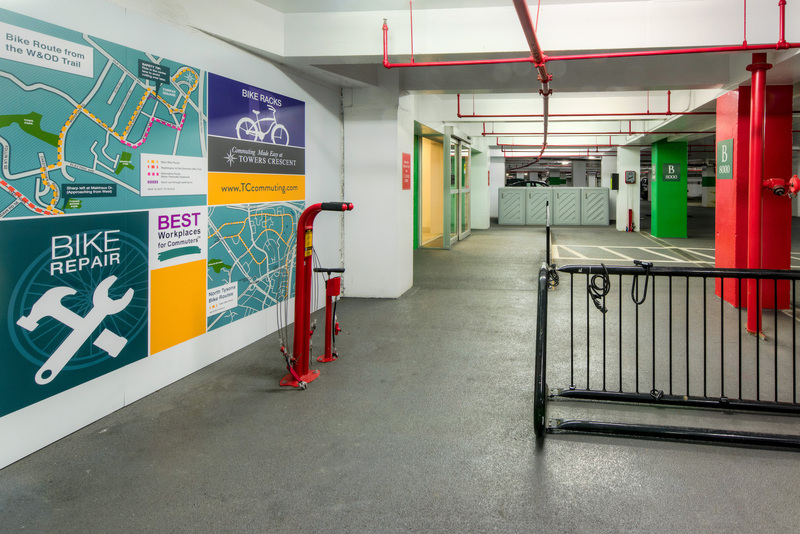 Don’t miss the Bike Maintenance Stand located in Building 8000’s parking garage!